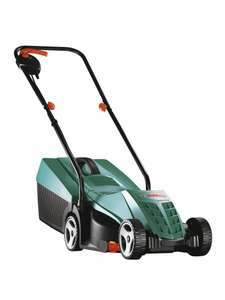 Bosch Rotak 32 R Corded Lawnmower. Priced at £79.99 usually £109.99 saving £30. The lawnmower only weighs 6.6kg and foldable handles, therefore its easy to store carry and carry. All of them plus Argos, Wilko etc. Cheers thanks for that. Only issue homebase closed in our city few months back. So I'm thinking argos locally might be an good option here. Also Waiting for week any particular DIY shop to look out for?? The Argos one is slightly more powerful - also available at Homebase for the same price: https://www.homebase.co.uk/bosch-rotak-32r-corded-rotary-lawnmower_p512081 If you do need a mower immediately, then IMHO, at this price point I'd also consider these: https://www.homebase.co.uk/ozito-1500w-electric-lawn-mower-36cm_p487610 https://www.homebase.co.uk/ozito-power-x-change-18v-cordless-lawn-mower-kit-30cm_p491082 Personally, I'd wait a week or so to see if the DIY stores have any special offers for the May BH. https://www.argos.co.uk/product/7305320 How does it compare to this one in Argos? Which is better going for value for money and worth pulling the trigger on any of these??? Got this for 60£, not worth much more, cheaply made, does the job but not worth much more . Better or worse than the Challenge £100 one at Argos? Just got round to using the Ozito branded version which I bought last year and I have to say I am well impresseed. The battery goes for much further than I had anticipated with a decent cut to boot. Much better than the wired Bosch thing I'd been using. Brilliant for a small garden. Anything bigger would need a 40cm + cut. good price for brushless. I'm knee deep in Ryobi so no use for me but voted hot. I got one of these last year. I use a 4Ah battery to cut about 130m2 grass - typical semi rear and front and neighbour's half of the front, and the battery shows just 50% usage afterwards. The best thing is that it does not fling the grass all over the place like the previous Flymo did, so I don't need to go around with the vacuum or blower afterwards. And it's so quiet, so can nip around the grass in the evening without worrying about the noise. Only concern is longevity. The plastic is thin and a bit flexible, the blade is thin, and the tube handles are too. yes that sounds far more reasonable. Couldnt see 10 mins becoming an hour for a Ryobi battery as have had alot of Li-ion batts and none improved to that extent. The arms bent on one of my replacements-to be fair to Bosch they sent out replacement arms quickly and without fuss. I’d be wary thinking the Bosch mowers invincible on the longer grass-that’s how one (Rotak 43 Ergoflex 1800 watts) of mine died. I’d suggest cutting it on highest setting then working your way down. Regarding this deal-John Lewis reviews paint a rosy picture. Peruse the ones on Amazon for a balanced one (with 28% giving it 3 stars or less) IMO. These do feel flimsy. I have a mains powered one. Very light weight but incredibly powerful. I had never used an electric lawnmower before, always had a petrol one but the power that my Bosch generates is out of this world. It never gets stuck in tall grass and cuts its way through everything. Don't know much about the battery-operated model. I'll give it a year or two and then I'll upgrade only if someone told me that these are as powerful as the mains-powered ones. Never going back to petrol lawnmowers. I've got one of these: https://www.amazon.co.uk/gp/product/B00SBN17VY/ref=ppx_yo_dt_b_asin_title_o00_s00?ie=UTF8&amp;psc=1 Paid only £120 in June 2016. Well that and, in my experience, they don’t last very long :D Thank heavens for hassle free Amazon returns process. The petrol mowers are also significantly heavier - as in the elderly and frail may struggle to handle them. There's a cut, but you only get it after you buy it. You mowed the grass at night? Has it got headlights? No stock showing up near me! I have this mower. I bought the 3 year guarantee (£18) too as I thought if it did break down after the end of the 1st year, it would be replaced. I don't buy extended guarantees, but on this occasion I figured it would be a good idea. This mower is very light, but it coped with the first cut this year well enough. It's a pity that there are only three settings though. Works well if you have a small lawn thes batteries last about 20min, you have to mow before strimming as the mower needs both batteries to be charged the same amount, its cuts a lot better than corded flymo I had and I now cut the grass more often because its much more convenient. Pretty sure you need both 20v batteries in this at the same time to be able to hit the required voltage for use, so not sure how people are saying they can get buy with one? I've found for electric mowers that unless you have a quite a small or intricate lawn, something bigger than 34 cm is better or at the very least, bigger or multiple (at least four in this case) 2AH batteries are required. Cannot order online or reserve in store - but a number of Wickes stores have these in stock. For anyone thinking of going to Milton Keynes. Their last one is £45 with no battery so it's not worth it! 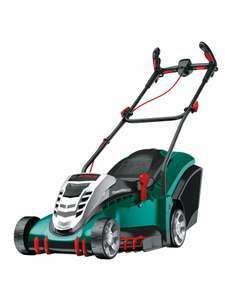 30 cm - so suitable for small lawns only but great price IF the battery really is included. https://www.wickes.co.uk/Flymo-Mightymo-Cordless-Rotary-Lawnmower/p/174681 £65 in store in Wickes if you're lucky. Is this actually any good? Compared to a Bosch for example? Never miss a 'Lawnmower' deal again! It seems that there are fewer and fewer self propelled mowers with rear rollers each year. My fifteen year old mower is on its last legs and I'm dreading finding a replacement which'll give those oh-so-desireable stripes without paying over the odds. i have the flymo 300 easi glide and i have the same problem chronic( muscle) back pain for days after cutting the grass.i thought it was just me not using it properly. I have this mower, its ok. Does a job but never paid £120. £60 in B&amp;Q last summer. Are they better than the recent Bosch one at similar price range?? Is this any good for cutting the garden? Bought the Bosch 32Li Cordless and at its best price it was not much less than this, heat! You'll never go back to corded after using one of these. Great mower and good price but be aware that the batteries are only the 2Ah type (ie small capacity). If you need more (eg 4Ah ones) these are very expensive. Is thing any good. Need to my grass ASAP? Wickes also have a cordless mower with one 18v 3ah battery for £105. I bought the package from Toolstation just the other week, very pleased with it. Make sure the lawn grass is completely dry or the mower struggles a bit. I started at the highest setting and then went down to the second lowest - works really well, surprisingly powerful but then it is 36 volt with two batteries attached. The strimmer is very light weight, uses disposable plastic blades - took some getting used, used 4 blades to do the entire edge of the garden which wasn't bad for first attempt, hit anything solid and they snap - there is a useful holder for spare blades just below the handle. I think it's all a bargain and so much better going cordless. I also bought some of the Ozito tools from Homebase which are all half price, Einhell and Ozito are interchangeable. I also got an extra two batteries and fast charger from Amazon. i got the Bosch AdvancedRotak 750 last year. its brilliant. I bought one last year and returned it .... awful mower. Massive handle flex made it very unpleasant to use and only has a 10m cable. Thanks op. Been after a new mower for a few weeks but wanted the 1700w one. This is currently priced at £230 at homebase. 2 year warranty included and this range has the quieter motor and 40 cm blade. Ordered and coming tomorrow. Cutting width of 25cms! Be prepared to be frustrated at how poor the cut is yet how amazing it manages to throw grass cuttings everywhere. I've used it a couple of times since it arrived, far better than my previous Flymo but my mum's was actually the larger 40" version which has a more powerful motor &amp; larger grass box. I'm very happy with it though for my smaller garden (~10m x 14m). How did It go past few days so have used it since buying it 2 weeks ago?? My mum's been using this mower for years &amp; loves it. Grabbed myself one, thanks OP. I figured with a 2 or 3 yr warranty and a household brand it was a good deal. Didn’t/couldn’t find any other mowers at a similar price. When choosing a lawnmower, sometimes it’s hard to tell the wood from the trees – or at least the lawn from the grass. Not only are there a variety of brands to choose from, you’ll also need to decide whether to go for a cylinder or rotary drum model, an electric mower or a petrol driven design. The exact mower you choose will depend on your circumstances and the kind of jobs that you need it to tackle, and this buyer’s guide should help to make the decision easier. In a world without lawnmowers, gardening would be very different. Maintaining a pristine lawn would certainly be a lot harder, unless you were willing to keep a herd of goats or sheep in your back garden. That’s why almost every home in the UK has at least one lawnmower (and many of us have one or two rusting away in the shed). The modern lawnmower was born in 1830 when an engineer from Gloucestershire called Edwin Budding decided that the old-fashioned scythe was too slow. Initially, mowers were rotary drums with blades attached, which were pushed by hand. In the later 19th century, motors started to be added, as mowers became a common sight in estates and parks across the country. By the 1920s, the motor mower had been invented – and gardeners could now sit behind their mower as they directed it around the lawn. 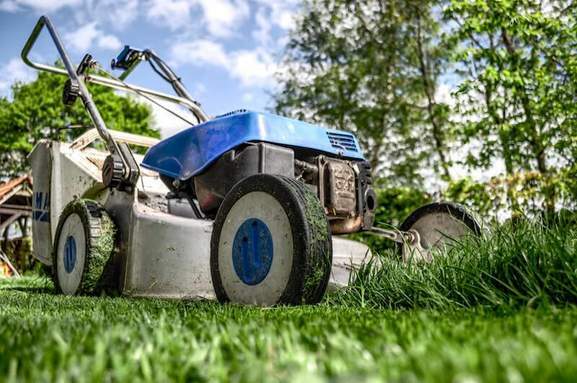 Nowadays, gardeners can still choose manually powered mowers if they prefer, but gasoline and electric models have become the most common kind in general use. Lawnmowers have become more sophisticated as well – with “smart” mowers featuring programmable routines and wireless connections. One of the most important things to decide when buying a lawnmower is whether you want the blade to be rotary or cylinder-based. In rotary models, the motor spins a blade at high velocity, usually underneath a protective casing. This is the classic Flymo look, with a hidden blade and formidable cutting power. Generally more powerful than cylinder mowers, rotary models also usually weigh slightly more. So they may not be the perfect fit for older gardeners who struggle to push and lift heavy weights. Remember that lawnmowers feature a fast-spinning cutting blade – so safety is an important consideration, and gardeners need to feel in control of the device at all times. If you regularly need to cut down thorns and nettles in thick clumps of vegetation, or you are faced with a large expanse of thick grass, a powerful rotary mower might be your best option. If you do opt for a rotary design, you will then have to decide whether to go for a wheeled model or a hover mower. Hover mowers are designed to lift slightly off the ground when in use, making them easy to use – but when you aren’t using them they can be slightly more cumbersome to move around. Cylinder lawnmowers are quite different to rotary models. This kind of mower harks back to the very earliest models and their longevity is a sign of how effective they can be. Basically, cylinder mowers feature a cylinder-shaped drum with a fixed blades attached to the casing. As the cylinder rotates, blades of grass are jammed up against the blade, which slices through them. 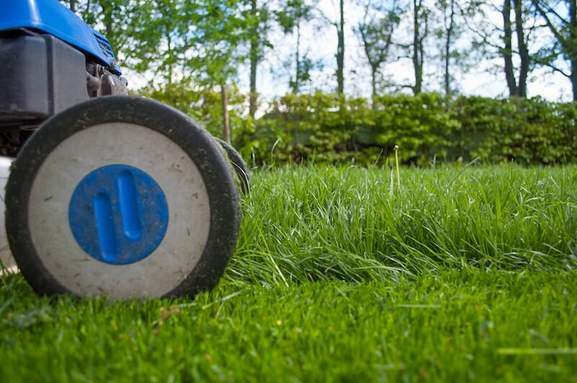 Expert gardeners often prefer cylinder mowers because they offer a greater degree of precision. With a good cylinder mower, you can specify exactly how long you need your grass to be, and you can achieve a uniform finish easily. They also tend to be quieter (particularly if they don’t have a motor), lighter and cheaper to run. Should I Go For Electric or Petrol Designs? This is another crucial question, and there is no right answer – it all depends upon your budget and needs. Petrol mowers are generally more durable and larger. 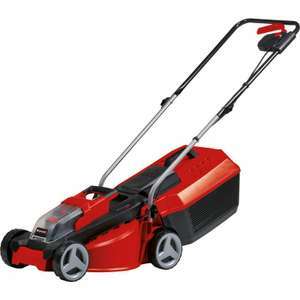 They are the kind of lawnmower that landed estates use to achieve a uniform, meticulous finish for their large expanses of lawn, and sports teams tend to use them for the same purpose. If you have a large lawn or are maintaining a sports pitch, a petrol mower makes sense. The same applies if you expect to deal with thick vegetation on a regular basis. However, because petrol mowers are usually bigger and heavier, they can present problems for movement and storage. If you aren’t confident in manoeuvring heavy equipment, they may not be ideal. Then again, it is possible to buy petrol lawnmowers that can be operated while seated, and self-propelling models are also available. It all depends on what you are comfortable with. Electric lawnmowers are the type that most ordinary gardeners will be familiar with. They are designed to plug straight into a mains socket, and are immediately ready for use when the plug is inserted. Generally lighter than petrol mowers, electric varieties are rarely the most powerful available. They are perfect for normal lawns with few complications, where a nearby socket is available. Because they rely on mains electricity, electric mowers will require an extension cord to operate them. This can be a difficult, and at times dangerous process, which is why many gardeners go for battery powered electric devices. Then again, battery powered mowers can run out of power at a crucial point, so make sure that your chosen model has a long charge limit, and remember to charge it up the day before mowing. Whenever you mow the lawn or dive into a thicket of nettles, the green waste produced has to go somewhere. These days, relatively few mowers simply leave a trail of cut grass – which can aggravate hay fever and be put to better use in a compost heap. If you see the words “side discharge mower” in your lawnmower ad, this means that the mower ejects the green waste as it moves along. Most gardeners try to avoid large clumps of grass strewn across their lawn. After all, the aim of mowing is to make your lawn look more orderly and attractive, not covered in green waste. Thankfully, many mowers come with a clippings container attached. This container clips onto the bag of the mower, filling up as you go. The key consideration here is size. Larger lawns will require bigger containers, unless you are happy to empty the bag in the middle of the job. A slightly different approach is to choose a mulching lawnmower. These models process your lawn clippings as you work, turning it into a fine mulch that is deposited back onto the lawn. If you are interested in having a pure, unblemished lawn, this won’t be for you, but if you are concerned about the health of the grass, it makes sense. The mulch can also be raked up and used elsewhere in the garden if required, a win-win situation. Once you get into the details, lawnmowers can come in infinite varieties. For example, another thing to think about is how large the blades are on your chosen mower, and what type are required. The most common type of blades are deck blades. Shaped a little like a straightened out boomerang, deck blades are fitted to the bottom of rotary mowers. It’s a good idea to have a few spares on hand at all times, as they can be damaged by stray rocks. Another type is curved mulching blades. These blades pull up the grass of the lawn, cut it, and then push it up again into another chamber where they are cut up into a fine mulch. Lifting blades resemble mulching blades with their curved surface and provide a more precise cut. Cylinder blades are specific to cylinder mowers. You can’t generally buy them at garden centres, as they are built into that kind of lawnmower. When they are damaged, the whole device needs to be replaced. Some mowers can use multiple types of blade. For example, a top of the range Flymo could use curved mulching blades, lifting blades or deck blades – so check in your documentation to find out which blades are supported. Power is a major factor in lawnmowing – just as it is with cooking or driving. If you have a small, uncomplicated grass lawn, you won’t need a souped up beast of a mower. If you have tangles of weeds to contend with or a huge area to cut, more power will be essential. If you have an electric mower, check the power in wattage. If you use a petrol based mower, the power is measured in CCs – so be sure to compare models to see if your mower measures up. Another consideration is cable length. Nobody wants to buy a mower and return home to find that it doesn’t reach the end of the garden, so measure how far you need it to reach and buy the right mower for the task in hand. Battery life matters as well. Again, no gardener wants to leave a job half done because the battery ran out. Different electric mowers have different battery lives – but manufacturers won’t always be upfront about these, so check reviews and ratings to be sure. Manoeuvring the mower is a vital consideration. However powerful your mower, if you can’t move it around nimbly, it won’t do the job, and it can pose a safety risk. Look for mowers with solid, adjustable handles that are strong and easy to hold. These handles should also be adaptable to be stored in shed racks, or hung from walls, making the mower easy to store. If you are particularly worried about being able to handle your mower, a hover mower is an excellent idea. However, these devices work best in smaller, flatter gardens. What Are the Most Technologically Advanced Mowers Available? If you are a truly serious gardener and you have a taste for gadgets, a robotic lawnmower could be your dream gardening tool. Major brands like Flymo and Bosch have developed cordless mowers that are designed to operate autonomously. Flymo and Bosch robotic lawnmowers can be programmed to deal with lawn areas up to 400 square metres in size, cutting grass to a specific range of heights. As such, they are potentially a great way to save yourself time and effort, as you can read the newspaper while your mower deals with an overgrown lawn. 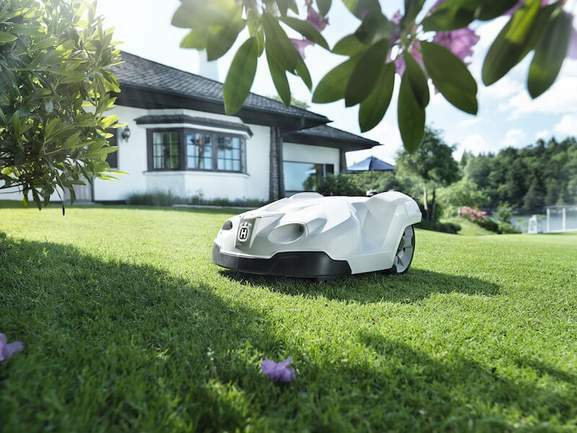 There are even more advanced robotic designs like the Robolawn that are capable of mowing lawns as large as 3,000 square metres, which could suit sports facilities, while up-market general models have been produced by Husqvarna which feature an iPhone app to remotely control the mower’s operation. Gardeners who like the sound of a robot mowing their lawn should be aware that of all the options discussed in this guide, robotic lawnmowers are easily the most expensive, although for some people, their convenience and the enjoyment of using them could outweigh the cost. You can extend the life of your mower by taking good care of its chassis and parts, particularly the cutting blades which do most of the work. One obvious piece of advice is to remove the blade and place it somewhere secure, away from children, and dry – so that it doesn’t rust. After using the mower, try not to leave it covered in mud, dust and grass cuttings. This can contribute to corrosion, and can be very hard to remove at a later date, so give it a wipe with a dry cloth after every use. If you use an electric mower, remove the battery after use and find a cool dry place to store it. Poorly stored batteries can become much less effective, leading to lower charge durations, so take good care of them. If you use a corded lawnmower, it’s a good idea to take some time to check the length of the cord for any damage. If the cord becomes frayed or broken, it can present a serious electrocution risk, so try to avoid this at all costs. It’s also a good idea to install some hooks in your shed to spool the cord around neatly, so that it is ready to use whenever you need it. 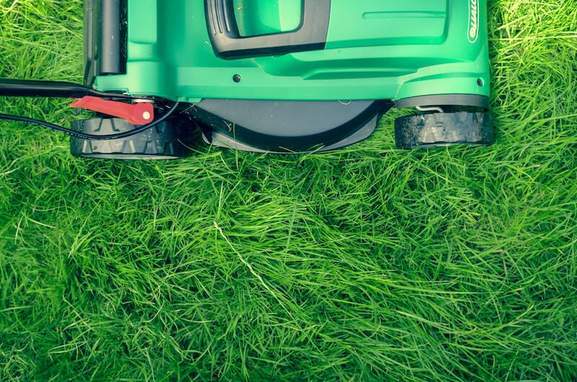 Petrol lawnmowers shouldn’t be stored with fuel in their tanks – so be sure to empty them before putting them away. Alternatively, you can add fuel stabiliser to the tank to prevent degradation and keep the fuel ready for use. Finally, store the mower itself in a cool, dry location. Sheds are ideal, but avoid any heating elements. A good move is to install a rack on the ceiling or walls of the shed so that the mower can slide out easily. This makes it nice and accessible, and also saves space. What Kind of Accessories Can I Buy For My Lawnmower? Spare blades, bags and batteries are a good idea for any lawnmower owner as you can never tell when an accident might occur. All lawns tend to contain debris and stones, which can tear a bag or dent a blade – so keep a few in reserve. Fuel is another standby if you have a petrol powered model. Some forms of mower also have specific attachments to enhance their functionality. For example, drive-on lawnmowers can have trailers attached to them, which is useful if you are taking garden tools to remote areas of a park or estate. Manure spreaders, sweepers, rakes, weedkiller sprayers, lawn rollers and aerators can also be added, which is why ride-on mowers are so useful for land management professionals. There are also accessories aimed at ordinary gardeners. Flymo offer a hand-held mini leaf blower/garden vacuum which can gather up detritus left by your mower. Trimmers are another essential for many gardeners, allowing them to tidy up corners and edges. You might also want to buy some protective gloves and goggles. Small stones and grit are often thrown up by mowers, so eye protection is a good idea. How Can I Buy My Next Lawnmower and Safe Money? 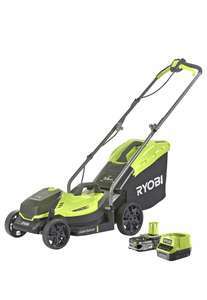 If you need an electric lawnmower, there are deals from leading brands like Black & Decker, Greenworks, Neuton and Ryobi. You’ll find petrol lawnmowers from the most reliable brands, including Mountfield, MTX and Flymo as well as manually powered cylinder lawnmowers from big names like Allett, Webb and Brill. Deals on lawnmowers can be found at a lot of the UK’s top retailers, and you’ll find savings at firms like Argos, Asda, Amazon, John Lewis, Homebase, Lawnmowers UK, Wickes, B&Q and Wilkinsons. Savings can be expected at all times of year, but look out for even larger reductions around autumn as the gardening season falls away, as well as Black Friday and the New Year. 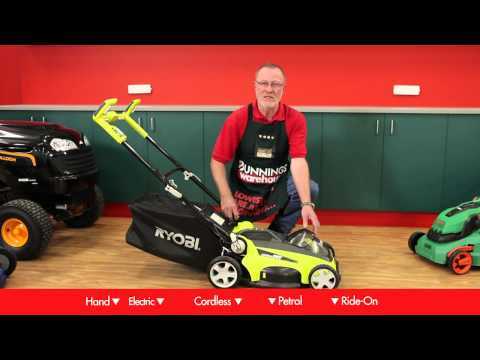 Whatever kind of lawnmower you require, the best way to find big discounts on the world’s leading brands is by checking out the lawnmower pages at HotUKDeals.